Can we stake a legal claim in space? 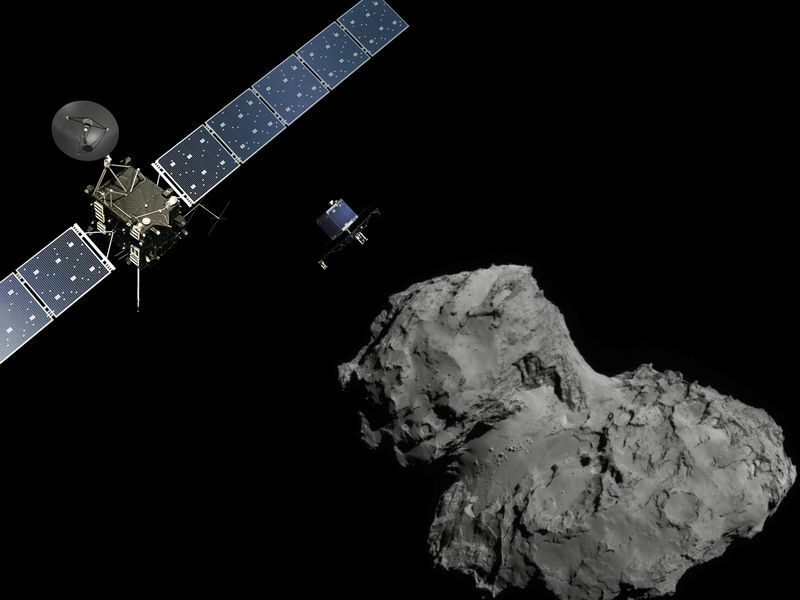 Last November, while the European Space Agency’s Rosetta team celebrated landing its Philae probe on comet 67P/Churyumov-Gerasimenko, NASA’s Asteroid Redirect Mission continued to plan how it would go about moving an asteroid into lunar orbit and send astronauts there before 2030. A month later, the Federal Aviation Administration told Bigelow Aerospace it could land an inflatable habitat on the moon at some future date and have exclusive rights to the land it occupies, in what seems like a bold expansion of the agency’s jurisdiction. The treaty declares space and celestial bodies free for “exploration and use,” but it also provides for zones of non-interference. Astronauts from one nation can’t toss dust on the solar panels of another nation’s asteroid probe, nor can moonwalkers enter Bigelow’s future lunar park until they’re invited inside the airlock. That’s a type of ownership, and with the rise of companies that intend to go mining in space, like Washington State-based Planetary Resources, celestial property rights need to be addressed. The FAA’s letter to Bigelow pointed out that the 1967 treaty requires nations to regulate commercial activities in space, but U.S. federal law has no such framework. So in March, Congressman Bill Posey of Florida introduced the Space Resource Exploration and Utilization Act in the House of Representatives, which will likely vote on it in September. It’s a start, says Dunstan, who is familiar with how to get governments and for-profit entities to work together in space—he brokered the lease of Mir for commercial projects, such as the filming of “Destination Mir,” a reality show NBC wanted to produce before Russia scrapped the station. But, he says, the bill has some real problems that need to be addressed before Congress creates our first space mining laws. Dunstan, along with Berin Szoka, president of the technology policy group TechFreedom, wrote an open letter to the House members calling for amendments that would encourage space mining without violating international law. Right now, the ambiguous language could allow companies to claim large swaths of territory—a whole asteroid or enormous sections of the moon, even if operations occupy only a small part—in clear violation of the treaty. But the bill is also not specific enough to declare that anything extracted becomes the sole property of whoever dug it up. International law on the matter was solidified decades ago when NASA brought home a sack of moonrocks and traded them with the Russians, who sold some on the market, proving an extracted resource has value for the one in possession of it, unlike celestial bodies as a whole. Meanwhile, Planetary Resources recently got two grants from NASA to continue developing asteroid mining technologies, and in July sent one of its Arkyd spacecraft into orbit to test software and control systems. The company could be collecting asteroid resources in the next 10 years. Congress might just have a law passed by then.